Beautiful remodeled country estate on 5 acres. This home features 3 bedrooms, 2.5 bathrooms, and a bonus room. The master bedroom is located on the main level! Custom rock entrance and rock fireplace. New everything including carpet, paint (inside and out), lighting, hardware, granite, appliances, a/c unit, etc. Rooms are all oversized. Plenty of unfinished space in the full basement with room for a theater, office, rec room, or a full in-law suite. Basement has a finished bath and a place for a wood burning stove. All of this on five beautiful fenced acres with two barns. Bring all your animal friends!! Fenced pasture and 2 barns await them. Located in the sought after Loganville school district... this home will not last long!! 3415 Claude Brewer Road, Loganville GA 30052 is a Home, with 3 bedrooms which is recently sold, it has 0 sqft, 3+ - 4 sized lot, and Other-See Remarks parking. 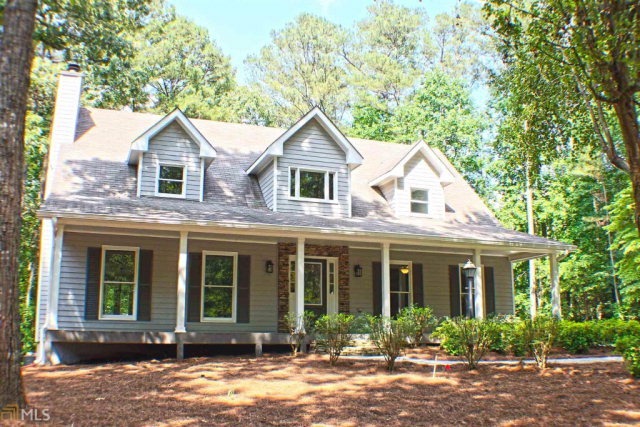 A comparable Home, has 4 bedrooms and 2 baths, it was built in and is located at 4038 Pate Rd Loganville GA 30052 and for sale by its owner at $ 374,900. This home is located in the city of Loganville , in zip code 30052, this Gwinnett County Home, it is in the No Recorded Subdivision Subdivision, and Park Place are nearby neighborhoods.